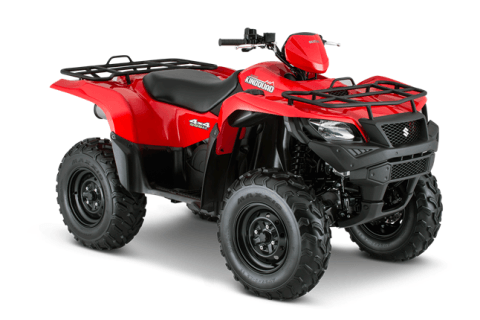 For superb traction and durability in any condition, specialized 25-inch tires are mounted on heavy-duty steel wheels. Suzuki's innovative and exclusive T-shaped seat provides maximum rider mobility during spirited riding or tackling difficult terrain. It’s also plush for comfort during extended time in the saddle. 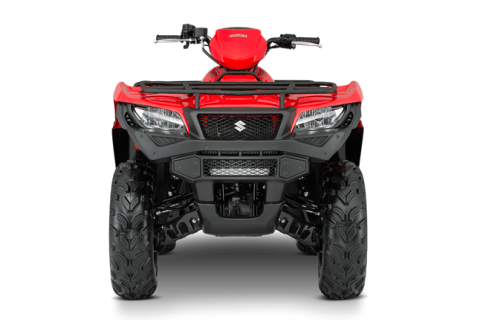 The cylinder is also canted forward for lower center of gravity, reduced engine height and lower seat height. 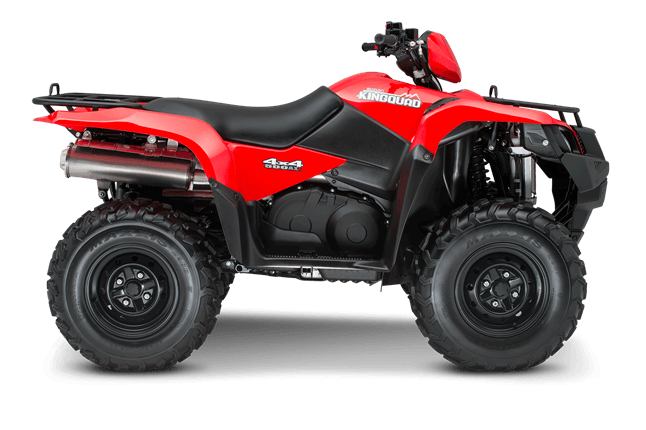 The KingQuad 500AXi Power Steering model, features a compact 4-valve cylinder head with large intake valves and straight intake ports for superb cylinder charging efficiency. 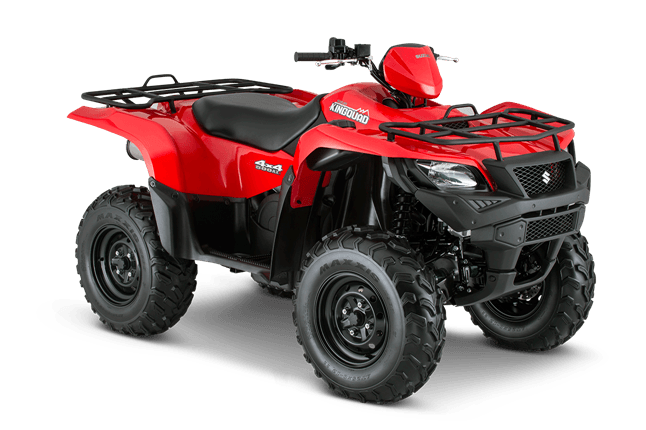 A sportbike-derived chain-and-gear camshaft drive system allows a short/narrow cylinder head design and reduced overall engine height. 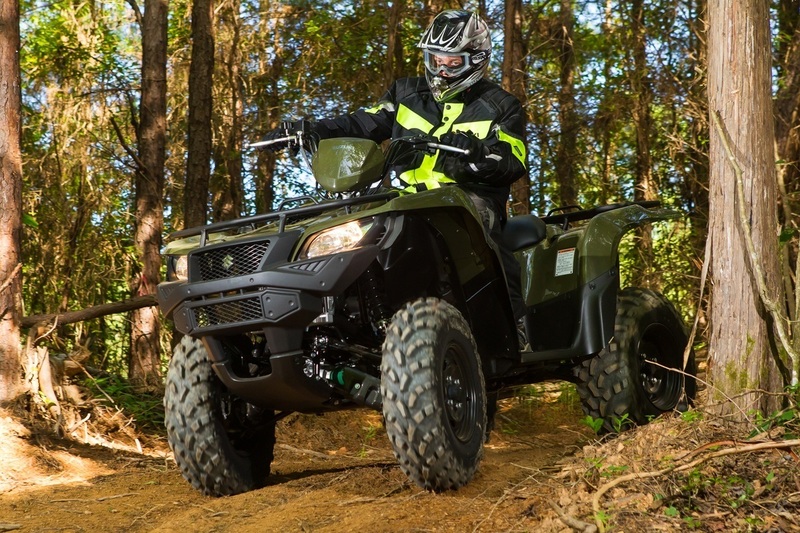 An engine counterbalancer shaft creates a smooth running engine at all speeds. High capacity aluminum radiator with large diameter thermostatically controlled cooling fan for stable engine operating temperature. 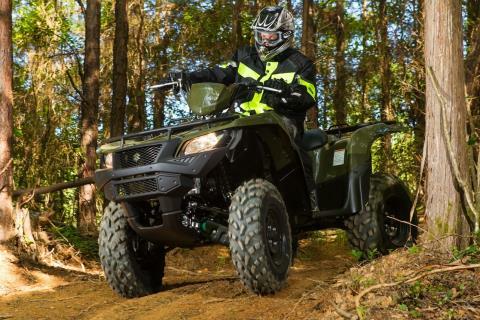 QuadMatic™ CVT-type automatic transmission designed for maximum versatility and convenience – fender-mounted gate-type shifter operation for high/low drive ranges. 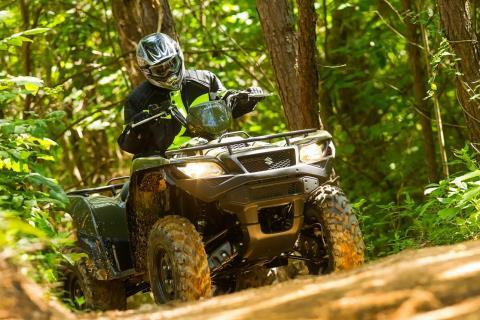 Advanced engine brake system minimizes free-wheeling to help the rider control downhill speed. Digital instrumentation includes LCD readouts for speedometer, odometer, twin tripmeters, hour meter, clock, fuel gauge, driving range position and drive mode. LED indicator lamps for high, low, neutral, reverse and drive — 2WD/4WD and differential-locked 4WD. LED indicator lamps provide alerts for fuel injection operation and engine temperature status. 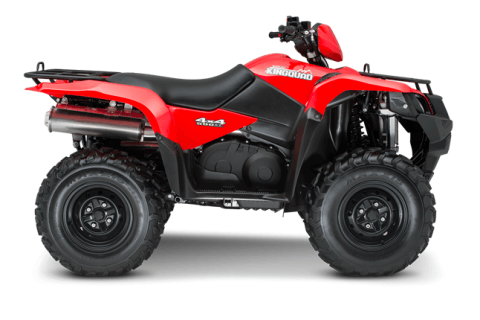 The KingQuad 500AXi Power Steering model comes with a large 4.6 gallon (17.5 L) fuel tank, positioned for a low center-of-gravity. It includes a vacuum-operated petcock, ratchet-style fuel cap and convenient bar-type fuel gauge. 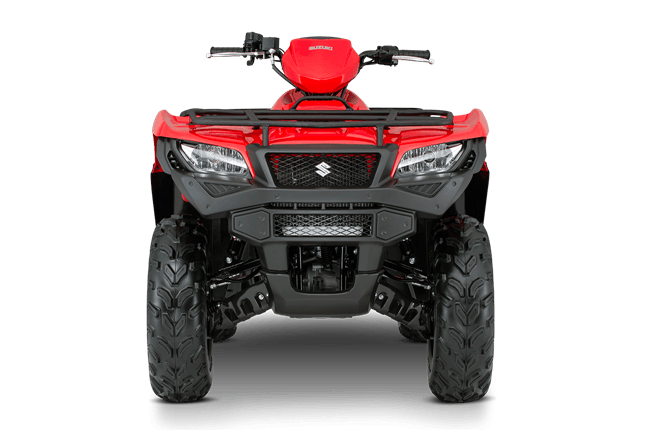 A wide array of Suzuki Genuine Accessories are available for the KingQuad 500ASi Power Steering ATV, including winches, utility windshield, front and rear bumpers, snow plow, aluminum skid pans, rack extensions, utility box and much more. Standard - 12 month limited warranty.